◎ In light of Fang’s investigation being made official on Jan. 9, we have made our full report available. On Sept. 17, 2017, we analyzed that Fang Fenghui and Zhang Yang may be involved in a failed coup against the Xi Jinping leadership. In light of Fang’s investigation being made official on Jan. 9, we have made our full report available below. In the second half of 2017, Chinese Communist Party (CCP) General Secretary Xi Jinping purged two of officials widely considered to have bright futures in the CCP—Politburo member Sun Zhengcai and Central Military Commission (CMC) Chief of the Joint Staff Fang Fenghui. Two days after Sun was officially placed under investigation on July 24, Xi summoned hundreds of senior of officials to Beijing for an emergency meeting. Then on July 31, Xi held an unprecedented military parade where he was greeted as Chairman, a designation only Mao Zedong carried in the past. Xi followed up with removing Fang on Aug. 26. 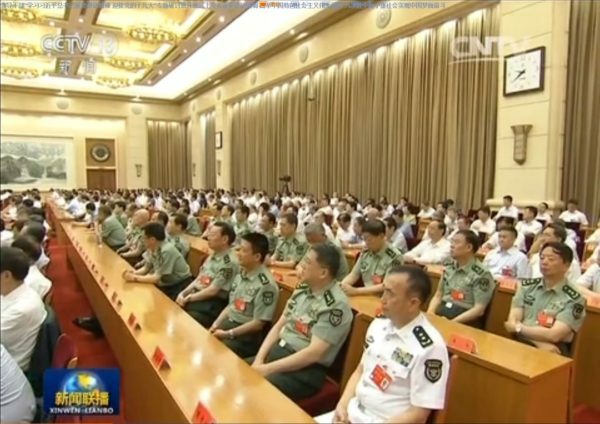 Over several weeks in September, Xi proceeded to replace ve departments heads in the CMC, China’s top military body. The ease with which Xi carried out these major replacements suggests that he faced no opposition from rival political factions or Party elders, two in influential groups whose opinions Xi usually cannot ignore under the CCP’s current system of collective leadership. These extraordinary developments inside the CCP have gone under the radar as independent, unconnected series of events, simply explained away as Xi amassing control for the sake of power. In our estimation, these developments are likely the result of Xi stopping a coup attempt by the Jiang Zemin political faction. 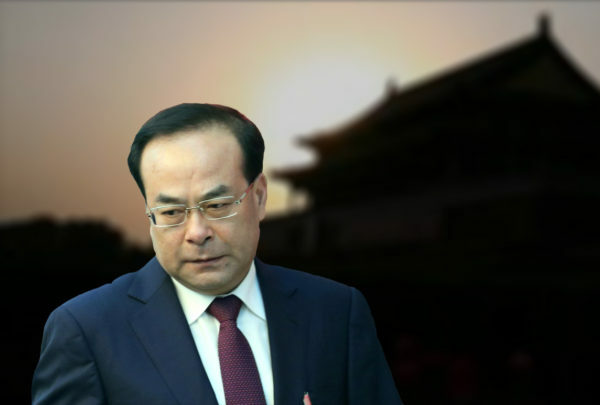 On July 24, 2017, state media announced that Sun Zhengcai, Politburo member and Party secretary of Chongqing, was under investigation for corruption. Sources inside the CCP, however, told Reuters that he had been removed for political indiscretions.This is a much harsher crime than corruption and a much more likely charge given that corruption isn’t reason enough to remove a seating Politburo member during a Party Congress year. Sun’s abrupt downfall shocked many observers because he was widely regarded as a candidate to succeed Xi Jinping. Sun’s career biography marked him friendly to the Jiang faction. While serving in the Beijing municipal government in the early 2000s, Sun was the top aide (mishu) to Jiang faction elites Jia Qinglin (former Politburo Standing Committee member; retired) and Liu Qi (former Beijing mayor, President of the 2008 Beijing Summer Olympics; retired). Sun later headed Jilin Province and Chongqing city, two regions where the Jiang faction carry influence. Two days after Sun Zhengcai’s arrest and a week before the annual Beidaihe retreat (a vacation and informal dealmaking session for top CCP officials), Xi Jinping summoned roughly 300 senior officials to Beijing for an emergency discussion seminar and keynote address. • Discussion seminars of this sort are usually held in the Central Party School in Beijing. 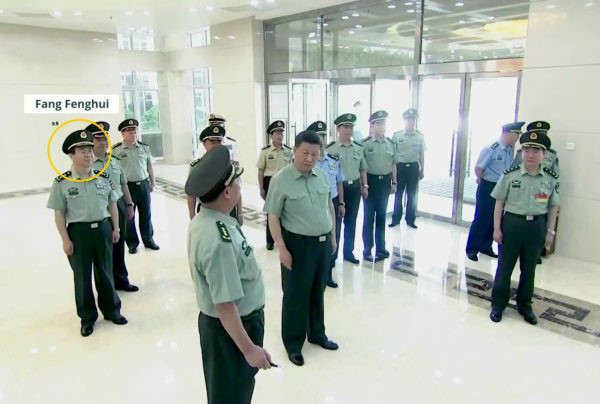 Instead, the venue was Jingxi Hotel, a high-security venue ran by the military, implying that absolute secrecy was a factor. • In attendance were virtually all national and sub-national level officials, as well as all leading provincial-level officials. • State broadcaster footage of the seminar showed row upon row of officials seated before empty desks, which suggests that notetaking was forbidden. The last time the CCP held a meeting that forbade the taking of notes was in September 1971 when cadres were briefed about the defection and plane crash of Party vice chairman Lin Biao. • The day after the meetings on July 28, Beijing municipal Party secretary Cai Qi and Guangdong chief Hu Chunhua held meetings to convey key takeaways of the seminar to local officials. Both mentioned that “political security” was an issue. 1. Protect embattled high-ranking officials. 2. Clear out antagonistic forces within the CCP. 3. Deal with outside pressure before and after the 19th Party Congress. 4. Suppress internal CCP instability. Points 1 and 3 are very likely a reference to fugitive Chinese tycoon Guo Wengui’s efforts to discredit anti-corruption chief Wang Qishan and his oblique endorsement of Sun as the next CCP leader. In summary, Xi may have used the Sun Zhengcai investigation to lay down his authority over the CCP during the emergency meeting. 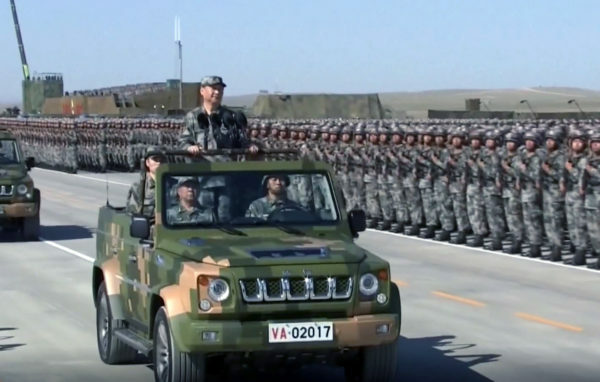 On July 30, just three days after the secret Beijing meeting, Xi Jinping held a grand military parade at the Zhurihe training base in Inner Mongolia to mark the 90th anniversary of the founding of the People’s Liberation Army (PLA). The Zhurihe parade was the first to be held on the eve of the founding of the PLA and in a military base. Such a grand parade would normally be held in Beijing’s Tiananmen Square. troops wore camouflage fatigues and jogged into formation to recorded music. Xi also wore camouflage instead of the customary Zhongshan suit Chinese leaders wear at parades. Parade troops greeted Xi with “Hello, Chairman” instead of the usual “Hello, Commander.” Chairman has, up until now, only been used for Mao Zedong. And in July, state-run newspaper Xinhua referred to Xi as “supreme commander,” another term that was only used with Mao. Politburo Standing Committee and CMC members joined Xi in the review stand at the Zhurihe parade, but not a single Party elder was present. In contrast, Party elders were invited to the 70th and 80th PLA founding anniversary celebrations. In sum, Xi Jinping appears to be using the Zhurihe parade to show the Jiang faction and other dissenting voices in the CCP that he is the Party Chairman now, has full authority over the military, and doesn’t need retired Party elders to approve and supervise his administration. 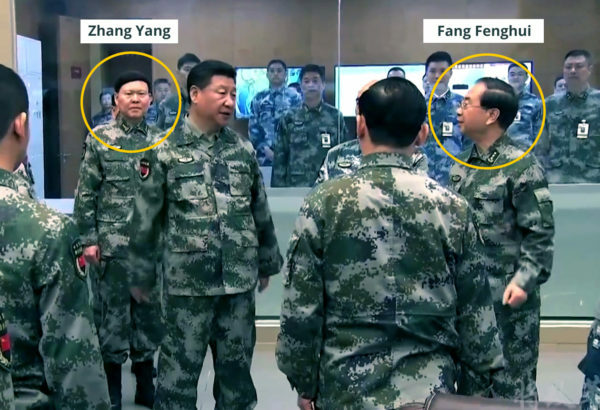 In the lead up to the 19th Congress, Fang Fenghui appeared to be checking all the right boxes for promotion from CMC Chief of the Joint Staff to CMC Vice-Chairman, the highest office for military personnel. He was also a trusted confidant of former CCP General Secretary Hu Jintao (Hu and Xi are allies in eliminating the Jiang faction from the CCP). In April, Fang was part of Xi’s entourage for the first face-to-face meeting between Xi Jinping and President Trump in Florida. On Aug. 15, Fang signed a new Sino-US military agreement with his U.S. counterpart Joseph Dunford. On Aug. 21, Fang met with General Surapong Suwan-ath, Chief of Defense Forces of the Royal Thai Armed Forces, in Beijing. Fang’s diplomatic meetings indicated that he had some measure of Xi’s trust, and was likely marked for promotion at the 19th People’s Congress. But on Aug. 26, Fang was abruptly removed from office without explanation and replaced by PLA Ground Force commander Li Zuocheng. Fang and political commissar Zhang Yang were also left off the list of 19th Congress delegates. Several media outlets have reported that Fang and Zhang are being investigated. Depending on the source, Fang is reportedly either being probed for corruption or for stirring up a border conflict with India, which led to a standoff between Chinese and Indian troops from mid-June to Aug. 28. The latter charge, if accurate, is serious enough to warrant Xi removing Fang. After Fang’s removal, Xi replaced the post of another five CMC members in September, an irregular development in speed and scale. Under usual circumstances, Xi would need to engage in horse trading with various CCP factions and Party elders to get the officials or generals he wants in top offices. For Xi to remove Fang and the others so rapidly suggests that Xi faced little or no opposition, a situation which indicates that Xi is either now immensely powerful or has found a very compelling reason—such as the discovery of a regime-destabilizing coup attempt against his leadership—to get all senior CCP cadres’ support for his personnel changes. SinoInsider believes that Fang Fenghui had very likely sought to oppose Xi Jinping, but it is still unclear what role he played. Fang could be acting on his own volition in opposing Xi, or Fang could be working in tandem with Sun Zhengcai. Why Fang would want to oppose Xi despite appearing to be in Xi’s favor is unclear. The political faction of former CCP General Secretary Jiang Zemin had plans to remove Xi Jinping in a coup, but the plot was exposed by Chongqing vice mayor and Jiang faction member Wang Lijun. In early 2012, Wang attempted to defect to the US through the US consulate in Chengdu. He revealed to diplomatic officials in the Obama administration that Jiang faction elites, Politburo member Bo Xilai and security czar Zhou Yongkang, were planning an “usurpation” of incoming Chinese leader Xi Jinping, according to the Washington Free Beacon. Three years later, Xi alluded to a coup attempt in several public speeches where he accused Bo, Zhou, former military vice chairs Xu Caihou and Guo Boxiong, and other Jiang associates of having “carried out political conspiracies to wreck and split the Party.” Bo Xilai and the other conspirators were all arrested and sentenced to life in prison. An interesting tidbit of Sun Zhengcai and Bo Xilai is that both were Politburo members and Sun had succeeded Bo as Chongqing Secretary after his downfall. Both were also widely regarded by China observers as potential candidates for the CCP leadership. For nearly two decades (1997-2012), Jiang Zemin and his loyalists dominated CCP politics and military. They expanded their influence through governmental and military ranks by rewarding corruption and persecution. For instance, officials could climb the CCP ranks by purchasing higher office, falsifying economic figures to reflect a higher GDP figure in the area they were administering, or by showing willingness to directly persecute Tibetans, Uyghurs, house Christians, and practitioners of Falun Gong, a Chinese spiritual discipline. Many Chinese officials became supporters or members of Jiang’s faction because they benefited from Jiang’s policies. Almost like a gang initiation, officials who bloodied their hands through persecution became trusted members of the Jiang faction because the guilty won’t bring the guilty to justice with everyone being complicit. Meanwhile, officials like Xi Jinping who take an unclear stance on the persecution of Falun Gong, Jiang’s pet project, were viewed with suspicion and cast as potential threats to the Jiang faction. All CCP leaders before Xi have directed bloody suppressions, and therefore hope to appoint successors who have also been involved in murderous crackdowns as an insurance against prosecution. Jiang is no exception, and was intent on having a Jiang faction member succeed Hu Jintao in 2012 so that the brutal persecution of Falun Gong which he started in 1999 can be maintained. For instance, the official Jiang wanted as CCP chief was former Politburo member and Chongqing chief Bo Xilai. Bo oversaw mass arrests of Falun Gong practitioners in Chongqing and when he was governor of Liaoning Province. According to American investigative journalist Ethan Gutmann, when Bo was governor, Liaoning Province was an epicenter of the CCP’s forced organ harvesting of still-living practitioners. 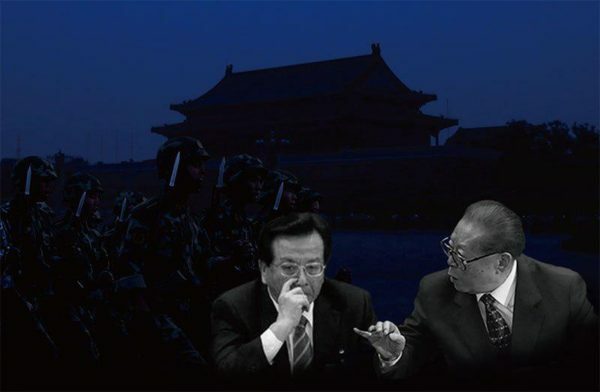 If Bo became head of the CCP, Jiang can feel safe that his bloody legacy would be in place until he enters the grave. However, contrary to his plans, Xi Jinping was picked for the top CCP office in 2012, and Jiang had no guarantees that Xi will continue the persecution of Falun Gong. Instead, there was a possibility that Xi may even stop the persecution and prosecute Jiang. Jiang couldn’t take the risk and thus attempted a coup to prevent Xi from coming in. In the past five years, the Jiang faction has continually sought to undermine Xi’s leadership, most notably by engineering the 2015 Shanghai stock crash and aiding North Korea’s nuclear program. The Jiang faction goal is to distract Xi with social, economic, and geopolitical turmoil to buy time for themselves. These distractions also serve to undermine Xi’s leadership as they manifest as problems under his watch. But thus far, their efforts have only resulted in more arrests of key members. Xi launched an anti-corruption campaign shortly after taking office. Then in 2015, he started to push heavy military reform. To date, over 1.21 million officials, or 78 percent of the total officialdom, have been purged. Over 200 of these officials held high office, and the majority of the purged officials in the government or the military have been members or supporters of the Jiang faction. Xi also appears to be doing what Jiang Zemin and his cronies fear most—quietly shifting the CCP’s stance on the persecution of Falun Gong. Shortly after taking office, Xi ordered the closure of the labor camp system, the main incarceration center for hundreds of thousands of Falun Gong practitioners. In late 2016, Xi’s anti-corruption agency openly criticized the “610 Office,” the Gestapo-like organization that was created specifically to oversee the persecution of Falun Gong. And since the start of 2017, local courts, procuratorates, and police stations have released over 50 practitioners who were under arrest, citing insufficient evidence, something unheard of since the brutal persecution began in 1999. With Xi sitting in China’s highest office, the tables have turned against the once all-powerful Jiang faction. If Xi can consolidate enough power over the Communist Party at the 19th Party Congress on Oct. 18, he could eradicate the remaining members of the Jiang faction. This places the Jiang faction in a losing predicament. 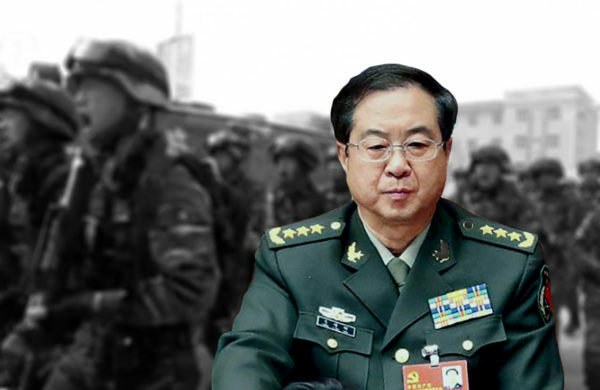 The latest coup, however, appeared to have been discovered and foiled by Xi, leading to the purge of Politburo member Sun Zhengcai and Chief of the Joint Staff Fang Fenghui. Following Sun’s expulsion, Xi likely debriefed leading officials about the plot in an emergency meeting. Xi then appears to have seized the opportunity to unify the CCP against Jiang faction elements to undertake sweeping changes in the military without pushback. Now all 31 provincial and regional CCP leaders have declared their allegiance to Xi in essays submitted to the People’s Daily. There is now a very good chance Xi Jinping will get the personnel changes he wants at the 19th Party Congress, which opens on Oct. 18. As the date closes in, so does the chance for the Jiang faction to take back lost power.